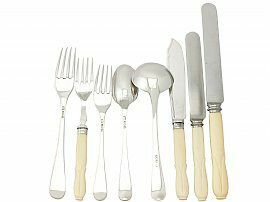 The pieces of this impressive, antique George V sterling silver flatware service for six persons have been crafted in the Old English pattern. 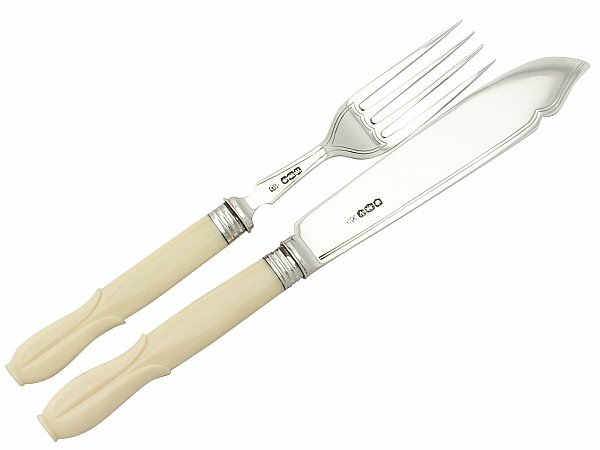 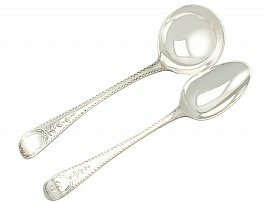 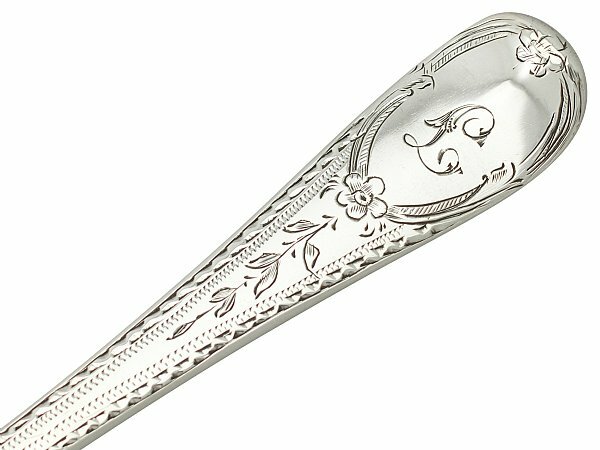 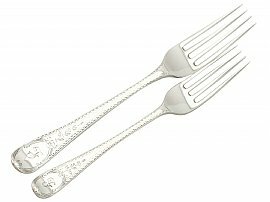 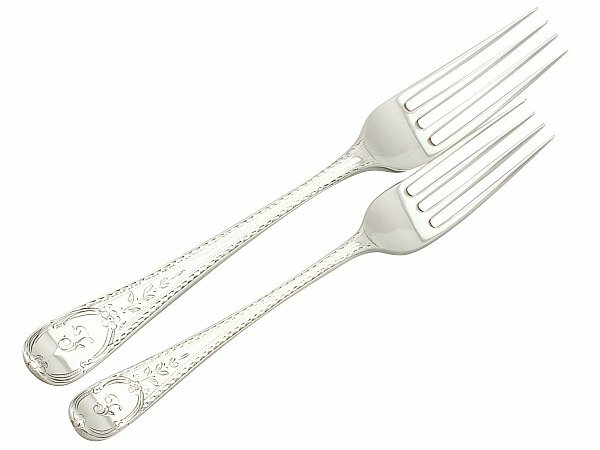 The anterior surface of each fork, spoon and ladle handle is embellished with bright cut engraved floral decoration accented with undulating borders. This decoration to the handles incorporates a shaped cartouche displaying the contemporary engraved initial ‘L’ to the forks and spoons; the cartouche to the ladles remains vacant. 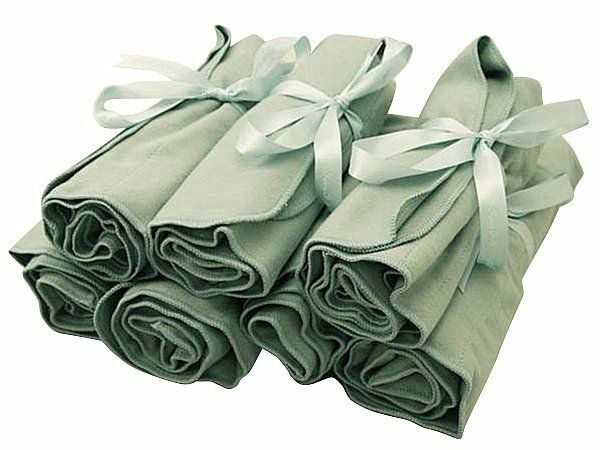 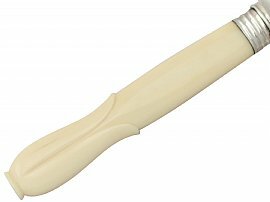 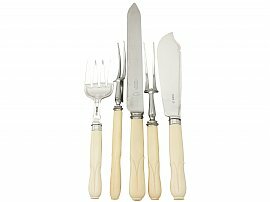 The blade of each fish knife has a broad rounded shaped form and the forks have an incurved form with four tines. 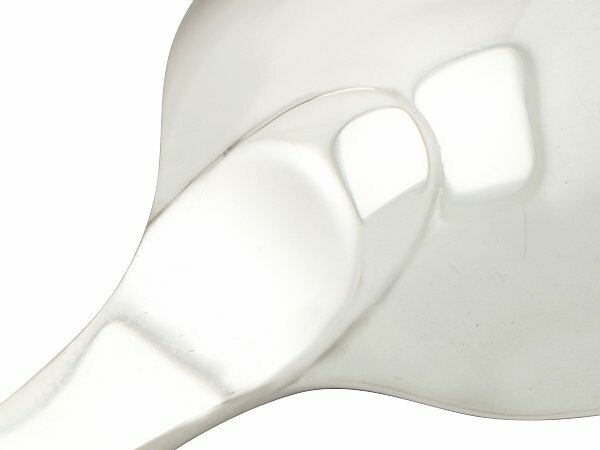 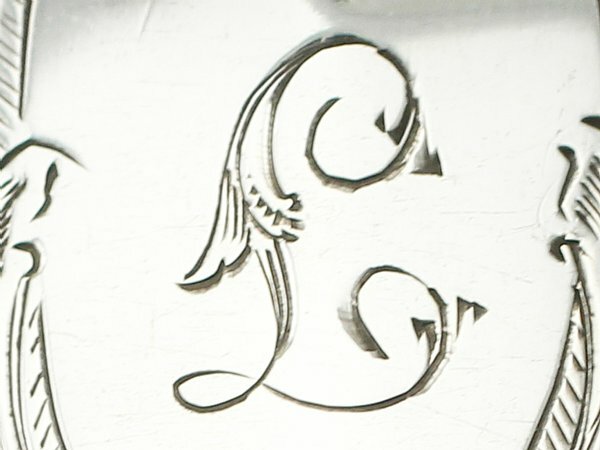 The anterior and posterior surface of the fish service, including the fish servers, is ornamented with a simple paralleling border. 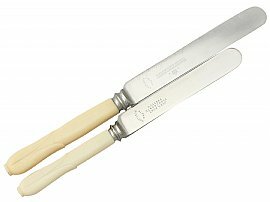 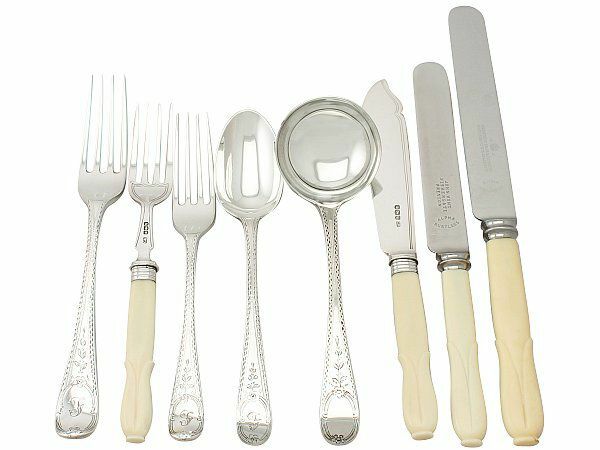 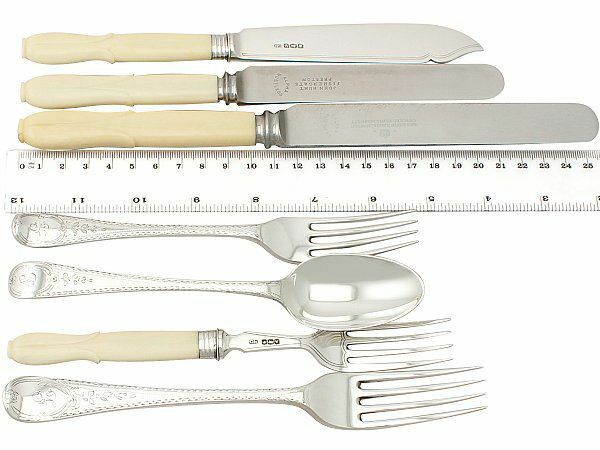 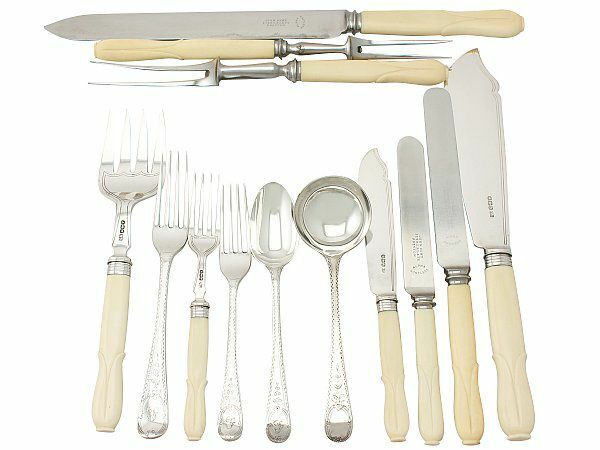 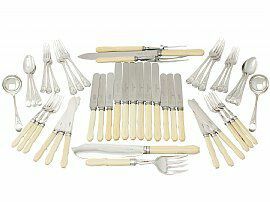 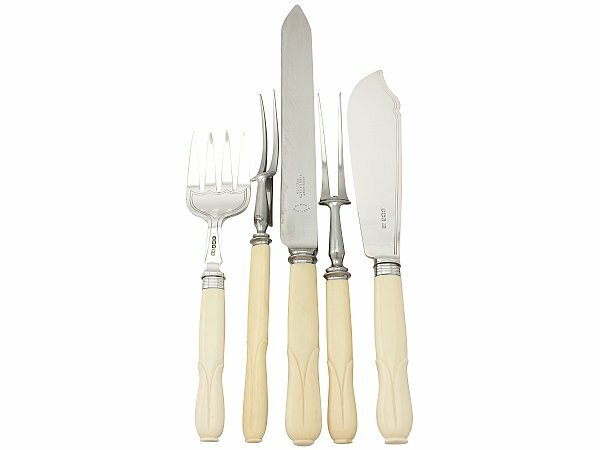 The carving set, fish service in addition to the table and dessert knives all retain the original bone handles, ornamented with a petal design to the terminal. 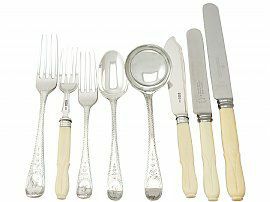 This impressive Old English cutlery set benefits from an impressive pair of fish servers and fish service. 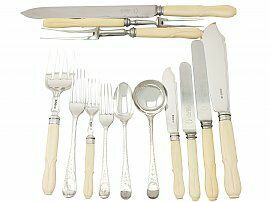 The fundamental components of this canteen were crafted by John Hunt of London in 1923. 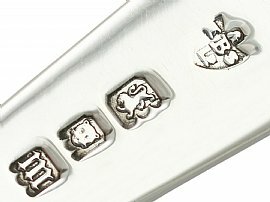 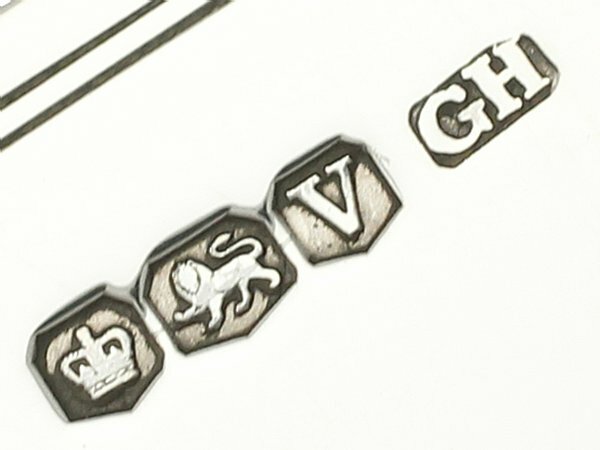 The table knives were crafted in a similar period to the fundamental service by Harrison Bros & Howson and are fitted with steel blades; the blades bear the maker’s mark ‘Harrison Bros & Howson, Cutlers to His Majesty’ below the royal coronet with the initials ‘GR’ - Georgius Rex (King George). 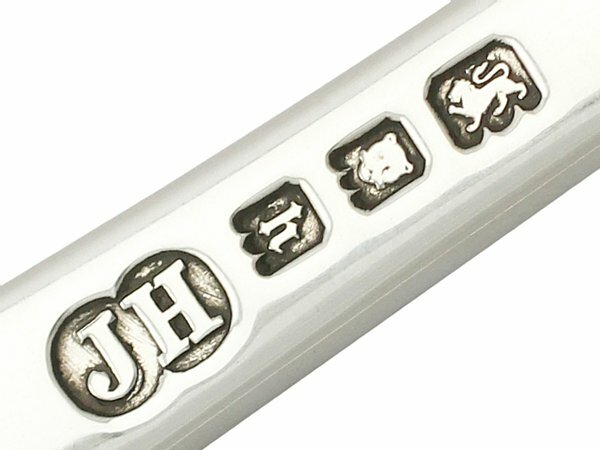 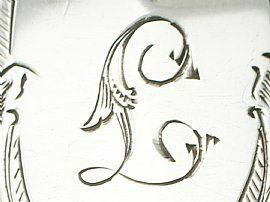 The stainless steel blade to each dessert knife and the carving knife features the maker’s mark ‘John Hunt, Fishergate, Preston’ to the anterior surface. 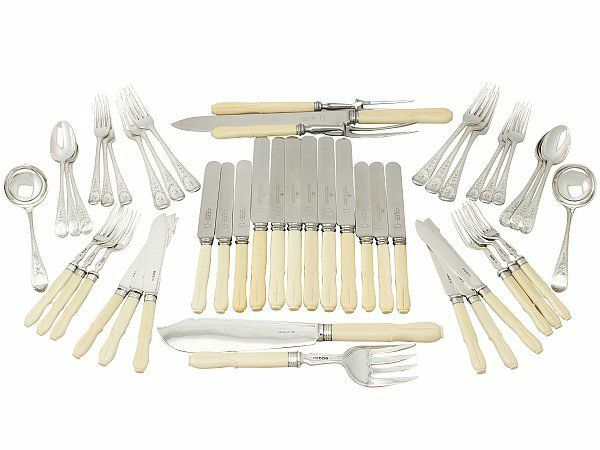 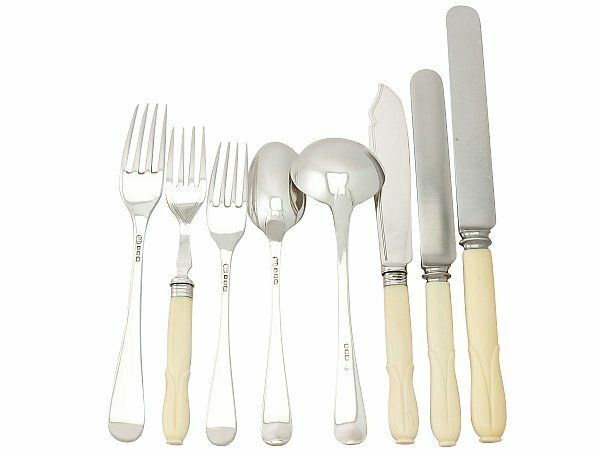 This canteen of cutlery can be purchased with plain sterling silver handled Old English pattern knives if so desired, for further information please contact Andrew Campbell directly at enquiries@acsilver.co.uk. 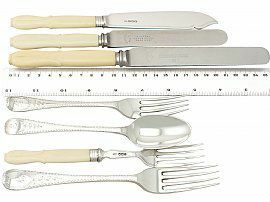 This antique canteen is a very good gauge of silver, excellent quality and in excellent presentation condition.